José Luis Prado is a top ranked executive in the food industry with extensive U.S. and International experience. He served at PepsiCo for 30 years where he built a distinguished career in a broad array of multi-functional roles spanning multiple countries in Latin America and Europe. He is currently Chairman and CEO of Evans Food Group, LLC. – the Global leader of Pork Rinds Snacks and Foods. José Luis has been actively involved in driving rapid organic growth and the M&A activity in partnership with the PE firm Wind Point Partners. José Luis is Retired President of Quaker Oats North America, PepsiCo, headquartered in Chicago. Previously he was President of Gamesa, PepsiCo Foods International, the multi-billion leader of cookies and crackers in Latin America. In these roles, José Luis led major enterprise transformations with outstanding results. Previously José Luis served in a variety of countries in General Management and functional leadership positions. José Luis serves currently in two Boards (Northern Trust, where he served as the Chair of the Risk Committee and Brinker International) and is very active leader in the Chicago Community. Guillermo Aponte currently serves as CEO of the Food and Snacks Division of Arca Continental, which distributes, and sells non-alcoholic beverages under The Coca-Cola Company brand, as well as snacks under the brands of Bokados in Mexico, Inalecsa in Ecuador, and Wise and Deep River in the U.S. Arca Continental is the second-largest Coca-Cola bottler in Latin America and the third-largest in the world. Previously, Mr. Aponte served as Chairman and CEO of Coca-Cola Philippines, Mexico and Colombia, and has over 25 years of experience with Coca-Cola in Asia and Latin America. Monica Contreras has been the president of PepsiCo Foods for the Andean Region since 2013. Her professional career at PepsiCo started in 2000 in marketing, sales, and trade marketing, and she was later responsible for the Colombia operation (2009-2011), and served as the general manager of Colombia (2011–2013). Contreras has a strong commitment to women’s inclusion in the labor force and has worked to increase the number of women working in the company. Thirty-seven percent of the employees at PepsiCo Colombia are women and hold more than 40 percent of the leadership roles. Contreras is an economist from the Universidad Externado de Colombia with an MBA from the Universidad de los Andes. She is a member of PepsiCo’s Female Executive Council of Latin America. In 2009, Contreras was part of the Leader’s Managers Program “What If Innovation Partners” in London, and she has participated in Northwestern’s Kellogg School of Management’s CEOs Management Program and the Transformative Business Leadership Program at Harvard Business School. 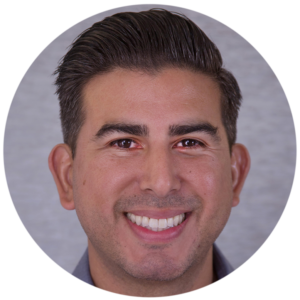 Mauro is currently VP of Sales and Marketing for Anita’s Mexican Foods Corporation, a privately-owned family run snack manufacturer based in California. Anita’s is an industry leader in private label and co-pack manufacturing of tortilla chips, pellet snacks, extruded snacks, taco shells and corn chips, and has facilities in California and Tennessee. Before becoming VP of Sales and Marketing, Mauro served as Director of Strategic Development for Anita’s, VP of Sales and Marketing at GFE Enterprises, and Sales and Marketing Manager at Prime Choice Foods. Additionally, Mauro is a member of SNAC International’s Board of Directors.